This is Part 1 of a two-part story. Part 2, entitled, "PPACA: Crediting Employees for Hours of Service When No Work is Performed and Keeping Employees on Your Health Plan When They No Longer Work" is posted here. After their 2015 renewal, large employers are officially under the dictates of Healthcare Reform's Employer Mandate. Most employers are using the IRS's "look-back" method to determine which employees are full-time. In that case, an employer is no longer free to simply move an employee from full-time-benefited status to part-time-nonbenefited status without applying their measurement and stability periods. In some cases, an employer may have to keep a part-time employee on benefits for the remainder of their current stability period or the remainder of the current one and the subsequent one. This can be up to a year and a half in certain situations. One way for an employer to partially avoid this is to use the IRS's month-to-month method; at least with respect to salaried personnel. Under the new rules of Healthcare Reform, a nuanced hypothetical has made waves throughout our office as it relates to moving an employee from a full to part-time position. 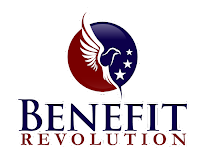 Prior to Reform, when a full-time employee changed to a part-time position at your company, you moved that employee off of the benefit plans and offered COBRA (provided your plans didn't offer benefits to part-timers). If you offer a fully-insured medical plan, you almost certainly made this adjustment to their enrollment at the end of the month in which the employee changed status. In the new world of Reform, this is not so cut and dry. In fact, if you are using the most common method of determining full-time status, the look-back method, it is no longer your reality. In that example, you would now have to keep that employee on your benefits plan despite the fact that you have moved them to part-time status. This is the case even if they come to you and ask to be made part-time. The common misconception among many in the industry is that you only needed to measure/test variable hour or part-time employees. And in a practical sense, that is true. You are offering benefits to your full-time employees, anyway, so why "test" whether or not you need to offer them benefits, right? However, the problem arises when you move a person from full to part-time employment. Dan is a member of your in-house legal department. He has worked for you for ten years. You have always offered him benefits and he has always been a salaried, full-time employee. In fact, Dan typically worked 60-plus hours per week. You have 500 employees, most of whom are salaried. You have some hourly folks and have selected a 12-month look-back period as your measurement to determine whether part-time or variable hour folks qualify for benefits. Your plan year renewal date is on January 1. On August 15th of 2015, Dan comes to you and explains that he would like to move to part-time to reduce stress levels and spend more time with his family. He is dual covered under a spouse's medical plan anyway, he says. So there is no need for him to work full-time for coverage. You're legal staff is robust and you can easily accommodate his request. So you make him part-time, effective immediately. When do you drop Dan off of your benefit plans? Before we can answer that, we must review a few regulatory provisions of PPACA. IRS regulations provide guidance on how Applicable Large Employers ("ALE's") should identify full-time employees for purposes of offering health plan coverage and avoiding a pay or play penalty. A full-time employee is an employee who was employed on average at least 30 hours of service per week. The final regulations generally treat 130 hours of service in a calendar month as the monthly equivalent of 30 hours per service per week. Non-working Hours: Each hour for which an employee is paid, or entitled to payment, by the employer on account of a period of time during which no duties are performed due to vacation, holiday, illness, incapacity (including disability), layoff, jury duty, military leave or leave of absence. All periods of paid leave must be taken into account; there is no limit on the hours of service that must be credited. Also, all hours of service performed for entities treated as a single employer under the Tax Code’s controlled group and affiliated service group rules must be taken into account. For example, an employee who for a calendar month averaged 25 hours of service per week at one employer and 15 hours of service per week at an employer in the same controlled group would be a full-time employee for that calendar month. However, hours of service performed as a bona fide volunteer (for example, a volunteer firefighter) or as part of a governmental work-study program are not counted. Employers may use different methods for non-hourly employees based on different classifications of employees if the classifications are reasonable and consistently applied. Employers may change methods each calendar year. However, employers may not use the days-worked or weeks-worked equivalency methods if those methods would substantially understate the hours of service of a single employee or a substantial number of employees. The number of hours calculated under the days-worked or weeks-worked equivalency must reflect generally the hours actually worked and the hours for which payment is made or due. The final regulations provide two methods for determining full-time employee status—the monthly measurement method and the look-back measurement method. These methods provide minimum standards for identifying employees as full-time employees. Employers may decide to treat additional employees as eligible for coverage, or otherwise offer coverage more expansively than would be required to avoid a pay or play penalty. The monthly measurement method involves a month-to-month analysis where full-time employees are identified based on their hours of service for each calendar month. This method is not based on averaging hours of service over a prior measurement period. This month-to-month measuring may cause practical difficulties for employers, particularly if there are employees with varying hours or employment schedules, and could result in employees moving in and out of employer coverage on a monthly basis. For this reason, a substantial majority of employers have chosen not to employ this method of calculation. However, it may be the right method to choose for your salaried personnel. An employer could use the monthly measurement method for salaried employees and the look-back measurement for hourly ones. In that case, none of your salaried employees would ever be in a stability period and your benefit administration would be a month to month determination similar to what you did prior to PPACA. This assumes that the employee remained salaried after the switch. If, however, they switched to hourly and therefore switched from the monthly method to the look-back method an entirely different set of rules apply. Essentially, those rules mandate that the employee is treated by whichever method provides them the best result (look-back or monthly) for both the stability period where the change occurs and the next stability period. (c) The employee actually is credited with less than 130 hours of service for each of the three full calendar months following such change in employment status. To give employers flexible and workable options and greater predictability for determining full-time employee status, the IRS developed an optional look-back measurement method as an alternative to the monthly measurement method. The details of this method vary based on whether the employees are ongoing or new, and whether new employees are expected to work full-time or are variable, seasonal or part-time employees. An administrative period that allows time for enrollment and disenrollment. An employer has discretion in deciding how long these periods will last, subject to specified IRS parameters. For ongoing employees, an employer determines each employee’s full-time status by looking back at a standard measurement period (SMP) lasting between 3 to 12 consecutive months, as chosen by the employer. For example, if an employer chooses an SMP of 12 months, the employer could make it the calendar year, a non-calendar year plan year or a different 12-month period, such as the one that ends shortly before the plan’s open enrollment period. An ongoing employee is an employee who has been employed by a large employer for at least one complete SMP. Turning back to our hypothetical scenario at the beginning of this post, the answer depends on whether the employer designated a look-back measurement period for all employees or whether the employer, in-fact, took the extra step to designate salaried personnel to be segregated into full or part-time status based on the monthly method. To reiterate, the downside of the monthly method is that an employer could end up moving employees on and off the benefits on a month-to-month basis. However, one way to approach this problem would be to make all of an employer's salaried personnel determinations of full or part-time status based on the monthly method and then use the look-back method for all hourly employees. Had an employer taken this extra step in our above example, that employer could have moved Dan off of benefits at the end of August for September of 2015. This method, however, is not without its own challenges because if you move Dan off of the benefits in September, you had better make sure he does not actually end up working more than 30 hours per week in September. If he does, you will have violated the mandate to offer him benefits in a month in which he was full-time. For this reason, the month-to-month method is essentially unworkable for hourly personnel and really only a legitimate option for salaried workers whose hours would not vary. If, instead, all employees are measured via the look-back method Dan would remain on the plan at least until 12/31/2015 (assuming the employer is using the most popular 12 month measurement and corresponding stability periods). During the employer's administrative period, prior to 12/31/2015, Dan's hours must be tested for the 2016 stability period. If Dan averaged more than 30 hours of work in a week for 2015, he would have to be offered medical benefits again in 2016. This is true even though he has been "part-time" since August of 2015. And in our example, that is likely the case as we pointed out that Dad had averaged over 60 hours a week up to August 15, 2015. On the other hand, splitting measurement periods for hourly and salaried personnel, adds yet another layer of complexity, administration and disclosure for employers. These distinctions would need to be addressed in the employer's healthcare eligibility policies as well as its Summary Plan Description. Additionally, the employer's Human Resources and payroll departments would need to coordinate closely to ensure that the two different measurement methods (monthly versus look-back) are being administered correctly. Employers who want to employ both a look-back and monthly measurement period to track an employee's benefit-eligibility status really should bite the bullet and invest in an online tracking system for this. To do so manually would be a herculean task for an employer with more than a moderate degree of employment complexity. Please ask me or your account manager about this. We do have experience with some of the new benefit administration systems that have recently been developed to tackle this problem. We also have discounted pricing available to clients. Employers (even those who choose to add an online tracking system) may very well elect to employ a standard look-back method for all employees. In fact, most employers are moving in this direction. Under these new rules, you must be mindful anytime you seek to remove an employee from your benefit plans. And if you have any doubt at all, do not hesitate to contact your BB&T benefit team. Pay or Play Penalty – Identifying Full-Time Employees. BB&T Legislative Alert 4-2014, March 5, 2014. Large Employers Must Apply the Same Measurement Method to All Employees in the Same Category, Leavitt Group, June 19, 2014. Jennifer Moore and Michael Sanchez assisted in the development of this post with research and editorial work. I'd like to thank them for their assistance. I encourage you to read either or both of the above publications for a more in-depth look at this issue and measurement periods, in general.